Pentagon maintains ties to creepy helicopter firms — why? After almost four years of allegations that two related helicopter companies in Lithuania and Russia were doing substandard work and should be banned from new contracts, the Pentagon continued to give them business, according to interviews and documents seen by Reuters. The Pentagon has been working with Lithuanian company Aviabaltika and a sister Russian firm, the St. Petersburg Aircraft Repair Company (SPARC), for more than a decade to buy spare parts and overhaul Russian Mi-17 helicopters. 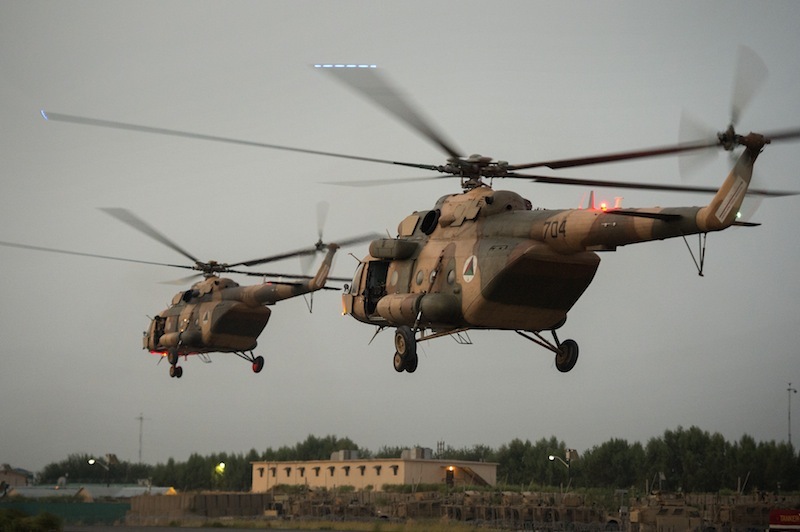 Pentagon officials say the Mi-17 helicopters are crucial to the ability of the Afghanistan military to conduct counter-terrorism and anti-narcotics mission as U.S. troops leave, since local pilots have a long history with the rugged aircraft. They have also been supplied to U.S. allies Pakistan and Iraq. The scrutiny of AVB/SPARC comes amid a broader backlash against the Army’s more than $1 billion Mi-17 program. Congressional and human rights critics say the program has put the Pentagon in bed with questionable business partners, and they are pressuring the Obama administration to wind it down. RTFA for all the gory details. In an honest business environment – as scarce as that may seem in headlines about the US economy – these creepy firms might be on the block for sale as scrap and salvage. In practice, most public companies in the United States had better be on the straight and narrow for – even though conservative politicians try like hell to reinvent the mythical Free Market of the 19th Century – oversight and regulation still exists in sufficient enough form to catch a portion of the crooks in business. Admittedly, the honesty patrol has a harder time with the US government and the Pentagon in particular; but, then, that’s what this investigative piece is all about, eh? DrumPants will turn you into a human drum kit — WTF?